The impact on businesses of the ongoing US ban on commercial UAV operation can be seen in a snapshot of this week’s drone news. Drones are very affordable these days, and there is nothing to stop anyone purchasing a drone and deploying it for fun. But you can’t use drones in anyway for ‘commercial purposes’ in the US. That means for example, that journalists publishing drone footage are actually in breach of FAA ruling. Until recently, individuals could largely still ‘get away with it’, but a rising awareness is seeing other organizations implement bans, shutdowns or recommendations on drone use. The organizations represent a range from realtors, journalists, first responders, sports groups and the National Parks Service. At the same time, a coalition of drone manufacturers are proactively building in features that ought to make drone use more acceptable, things like autopilots, safe flight modes, ‘find home’, parachutes, etc. Here’s a snapshot taken largely from the Center for the Study of the Drone’s Weekly Roundup. So much critical mass around lack of commercialization in US is emerging. And yet this is what did or could happen successfully with drones – mainly not in the US. DHL is flying drones to deliver medication to a pharmacy on an isolated island off Germany’s coast. The company says it’s the first time an unmanned aircraft has been authorized to deliver goods in Europe. At the Los Angeles Times, Chad Garland surveys the different ways that drones could transform agriculture. And now it just gets crazy. 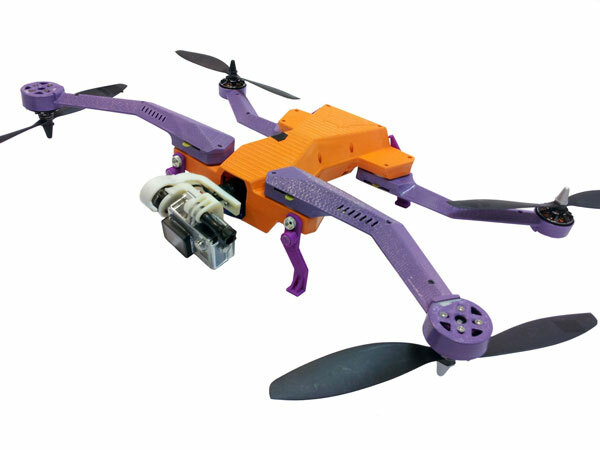 Researchers from KAIST presented a flying robot at IROS2014 – a bioloid capable of flying not just a simulator but a real plane. IEEE Spectrum looks at PIBOTs, the little humanoid robots that are being taught how to control a cockpit, and, eventually, fly an airplane.